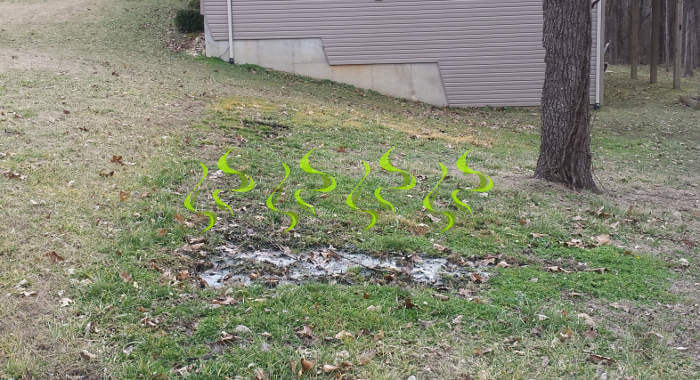 Home » Blog » Septic Articles » Why Septic Tank Pumping In Missouri May Not Solve Your Real Problem! It’s not uncommon for our clients to ask if we offer septic tank pumping. Although it’s a service we assist with in Missouri including Springfield, Nixa, Ozark, Branson and around Table Rock Lake, it’s usually only a temporary solution and may not fix what is causing your real issue. For every industry there’s a solution to a problem. Residential septic systems are no exception to this. Due to a lack of oversight during installations, most waste water applications will generally require the tank to be cleaned out at some point. A properly installed and operated system should almost never require pumping. If you’re pumping out your tank every few years, we’ve put together some helpful insights as to why and how we can help correct your real problem. Ask yourself this question…Do I truly understand how all the components in my septic system work? If you answered no, then read on to learn more about the common signs that may lead you to believe you need your tank pumped. Although this makes sense to most of us, this is a sign that your lateral lines or tank needs more attention vs. just being emptied. Another on the list is when you notice your drain lines are draining slowly. Aside from potentially just needing your lines unclogged, this is also another misdiagnosed factor. When you see water in your yard that you’re not accustomed to noticing, it’s not a sign that you’ll need pumping, but that there’s something more going on with your system. 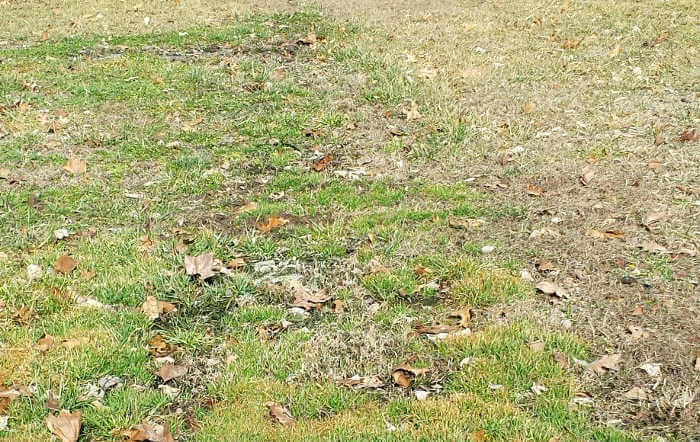 Dark colored areas of greener grass in your yard might be noticed over each individual lateral line. In some cases, you may also notice it around underground pipe connections or directly above the tank. 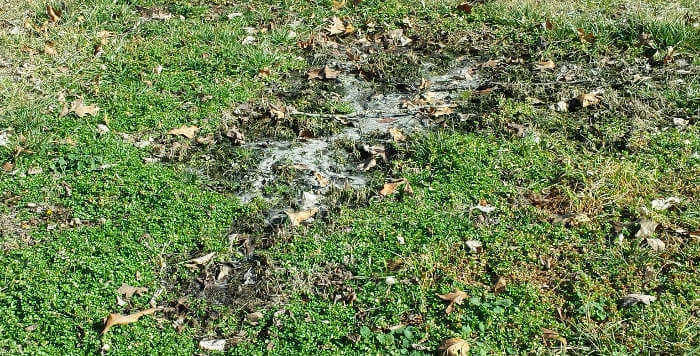 The dark areas of green grass or wet areas above the tank and laterals are not an indication your tank needs pumped. 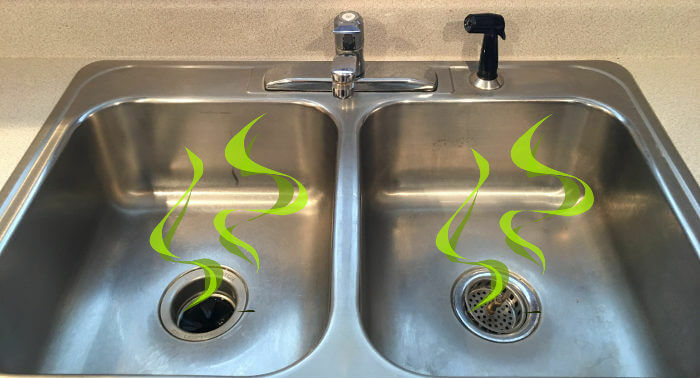 Back flow odors are another commonly assumed reason why you may feel you need this type of a service. 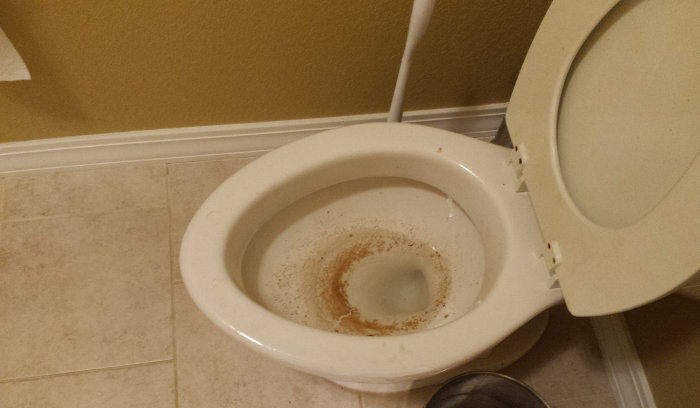 If you can’t notice it within your home, you may notice the foul smell of sewage outside. This again, another sign that leads you to believe a septic tank pumping service is required. There are several different types of septic systems. Each have their own design and application requirements. Without going into detail regarding each one, here are some possible underlying issues that may exist on your system and why they may cause you to believe your tank needs to be cleaned out. Incorrectly configured plumbing pipes, fittings and baffles within the tank, which can likely cause backups. Some homeowners assume all installations are created equal. This assumption, unfortunately, is not the case. While we don’t believe we are the only installer who performs their services to perfection, 9/10 times we’ll generally find some type of installation error during our system diagnosis. The pipes and fittings that are configured within your tank and lateral lines are extremely delicate in terms of making sure they have the correct slope as well as being adapted to the precise water level expectations. 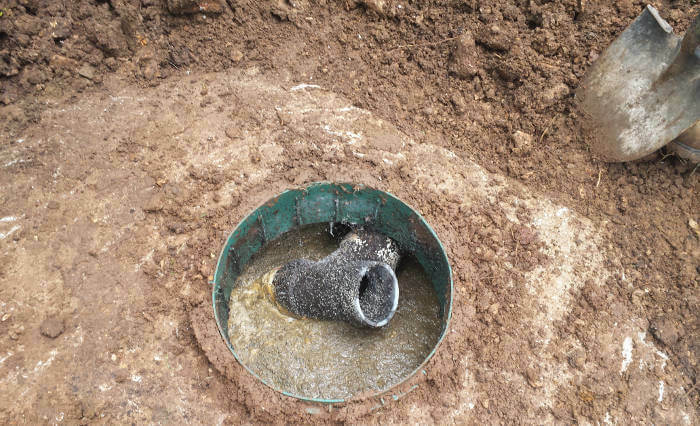 Here’s an example of a poorly installed septic tank’s outlet pipe. It’s supposed to have a small downward slope, but this particular one has the slope going back into the tank. This ended up being identified after the homeowner in Nixa, MO had to pump out their tank multiple times. It was causing continuous backups. 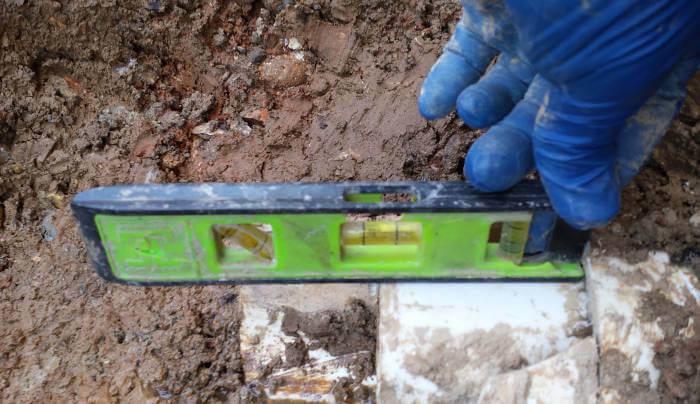 After excavating around the tank, we found this issue and were able to quickly make the repair. When the pipes, fittings and baffles are not installed accurately, they will prevent the system from functioning as it should. You will have both solids and liquids entering your tank. The baffles should separate these two by only allowing the majority of liquid waste to be dispersed to the lateral field. If solids escape, it causes a build up over time and thus causes your sewer lines to clog. This results in the assumption that the tank needs to be pumped. Your soil may no longer be able to absorb waste or ground water. Another on the list doesn’t have anything to do with installation errors, but rather just unfortunate circumstances. In some cases, your soil may no longer be able to absorb the liquids that are being dispersed from the lateral lines. Although it’s rare that this may happen, it is a possible scenario. Your soil is originally diagnosed by a soil scientist to determine what type of system your property will require. Soil conditions vary from region to region as well as varying within one specific county. If your soil no longer is able to absorb the liquids, then it causes everything to back up starting from the ground to the lateral lines, then back to the tank, and finally back into the home. Broken pipes, lines and fittings that are located anywhere within the house, in-line, laterals or tank, etc. Broken or damaged lines within your leach field can also be another possible underlying issue with your system. This scenario among others will generally go unnoticed and lead the property owner to assume that all they require is having their system emptied out. Clogged pipes including those going in and out of your tank. The above image represents a clogged lateral line. Over time it has filled up with solids that were escaping the tank. This is another unfortunate example of a poor installation and one that will often lead to the assumption that the tank needs cleaned. Your tank is not water tight. 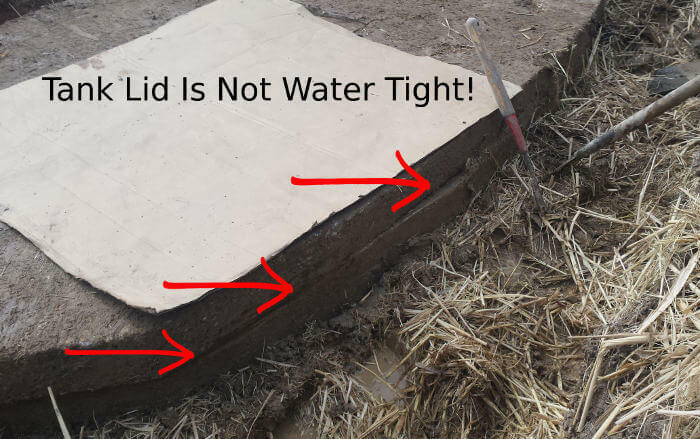 Everything within your system could be in perfect working condition, but if the tank itself is not water tight, it causes an abundance of ground water to overload your laterals. This in itself can be another reason why you may think you need your tank pumped. Lateral lines clogged with roots, solids, etc. 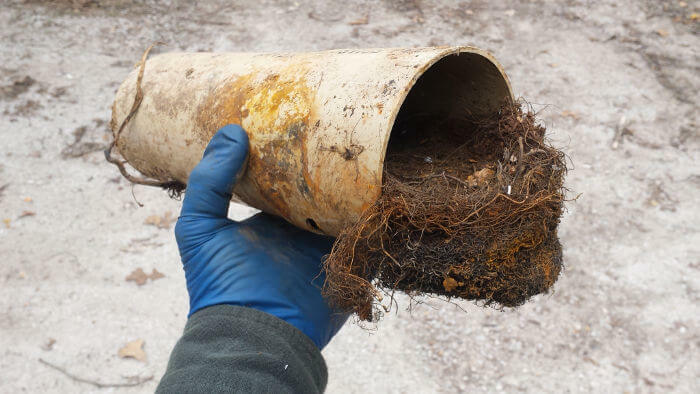 If you feel you have the need for pumping because sewage is backing up in your home or you’re just noticing the sinks draining slowly, another on the list of possible causes may be roots built up within your lateral lines. What you are personally putting down your drains. 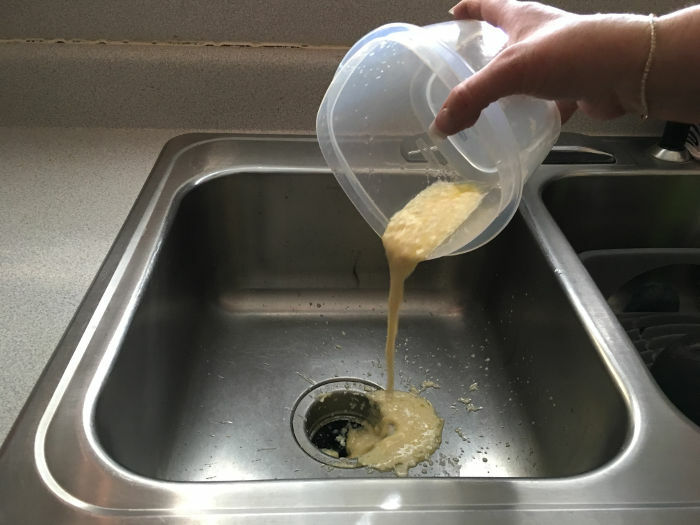 What you throw down the drain can also cause a build up of solids, which can lead to your tank backing up. Saturated fats such as vegetable shortening are some of the worst elements to dispose of. Another item you may not think twice about are medications. Some medicines that are either flushed or poured down the drain fight against the natural biological reactions that occur within the tank and won’t allow the bacteria to eat away at the solid waste. 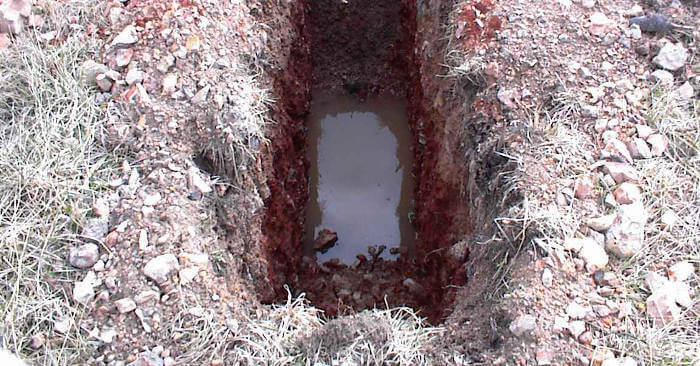 When it comes to septic systems, they are an out of sight and out of mind application. Once in the ground, you may never truly know what is going on underneath. Our installations are designed to last. We take on each project with a dedication to perfection. This means each step of our process is meticulously approached to ensure everything is level, water tight and functioning year after year. We have systems that have been in the ground for 20 plus years and have never required pumping out the tank. We attribute this outcome because we do a superb job of preventing most of the floating solids from ever entering the lateral lines. The way we configure the plumbing that goes in and out of the tank is very critical to protecting the lateral field. Although we can’t control every circumstance, we take pride in knowing our installations are meant to last. Here are a few uncontrollable circumstances that may result in the tank needing to be pumped. Poor soil conditions that only allowed absorption for a short period of time. A significant change with an influx of ground water may overload a system. 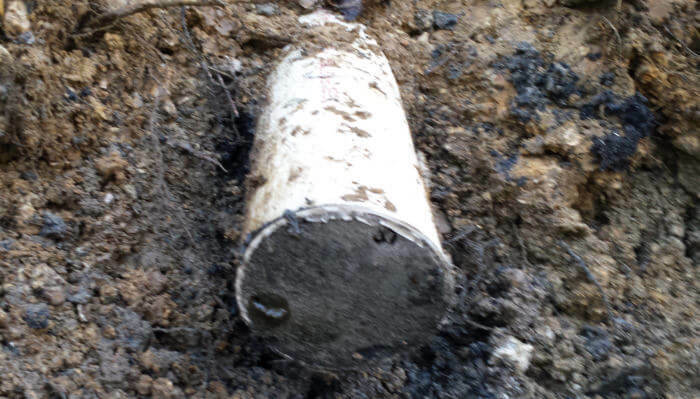 Property owner may have disposed of non-tank safe materials or waste. Industry biases will often recommend that you pump out your tank every few years. This recommendation can vary based on household occupancy as well as soil conditions, tank size and waste disposal types. In this article, we are not stating that you should never have to pump your tank, but rather offering common scenarios that exist that lead homeowners to believe they need their tank pumped. More times than not, it’s an underlying issue and we offer solutions to correct these problems. We need to see your system if at all possible before it gets pumped to determine the real underlying issue. This allows us to fairly diagnose if any actual problems exist before determining if this service is truly what you’ll need. Additionally, we can diagnose whether your tank & system components are adequately protecting your lateral lines. 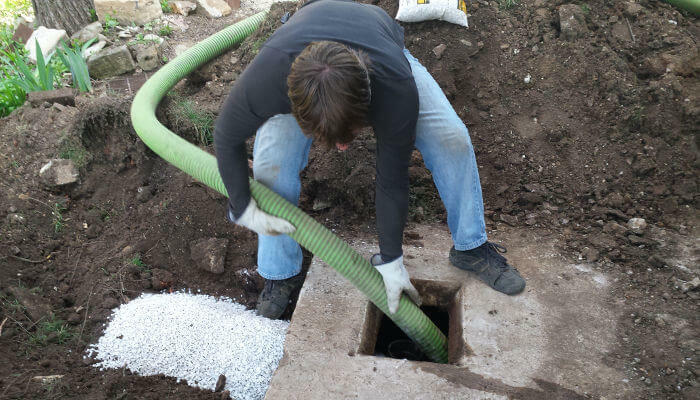 If you’re a resident of Southwest Missouri living in the Branson, Springfield, Nixa or Ozark areas, feel free to request a free consultation with us before hiring a septic tank pumping company.